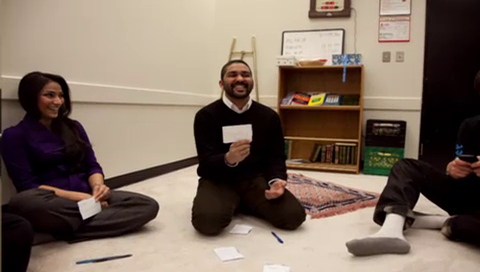 Rizwan talks about his project that made him meet young Canadian Muslims from all walks of life. In this episode, Rizwan goes to Brock University in Southern Ontario to hold a workshop about the Canadian Muslim identity. Rizwan, you’ve hit the nail on the head during your talking points on ‘terrorism’ and ‘extremism’. Great Job! Interesting and unique real aspect of life… lovely production which deserves a big Thank U.